“Early in October, Ruth Rose went on holiday to Corfu with a group of female friends she had known for years. They swam in the sea every day, making the most of the late summer sunshine. On the last morning before flying home to England, the women took one last swim and skinny-dipped so as not to have to pack their costumes away wet. The Secretary opens this week’s Wrap-Up with discussion about grandparents coping with children affected by the opioid crisis … their grandchildren. Read this article in its entirety at PennLive.com. Register today for Pennsylvania’s inaugural LGBTQ Aging Summit! The summit will be held on October 9-10 at the Sheraton Harrisburg Hershey Hotel, 4650 Lindle Road, Harrisburg, PA 17111. To learn more, register, or apply for a scholarship, visit www.ltltrainingpa.org. LGBTQ Aging Summit announced for October 9 & 10 | SAVE THE DATE! 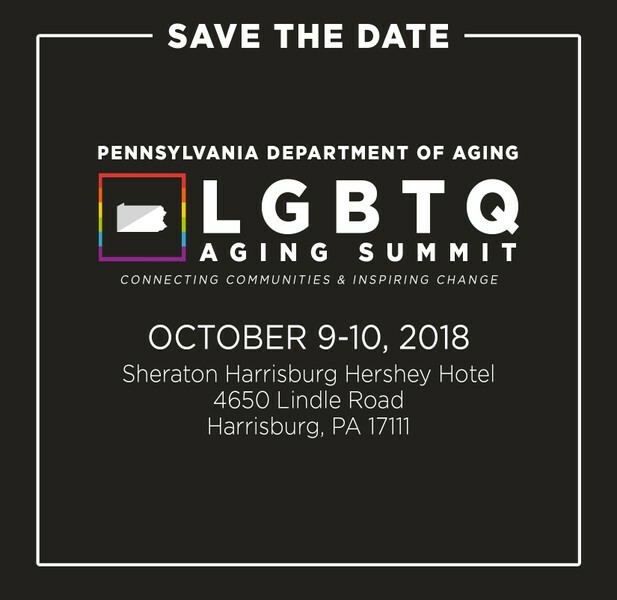 “The dates and location for Pennsylvania’s Inaugural LGBTQ Aging Summit have been confirmed. The summit will be held on October 9-10, 2018 at the Sheraton Harrisburg Hershey Hotel. 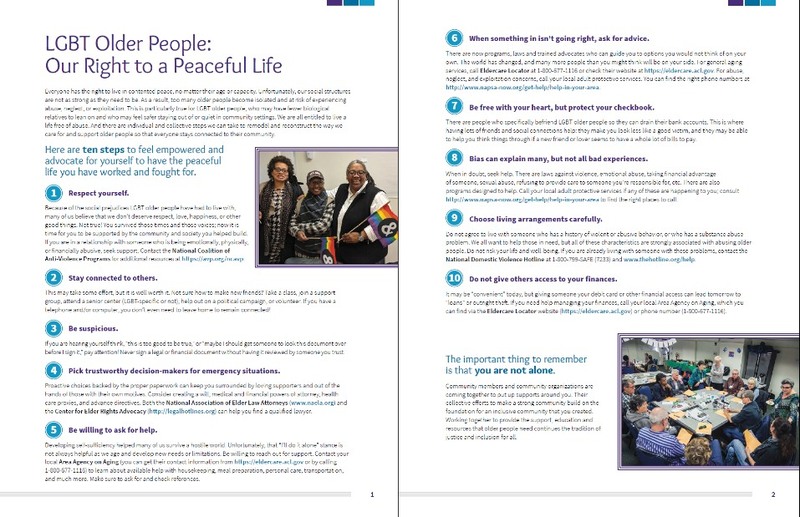 Led by a dedicated LGBTQ Aging Planning Committee, the summit’s theme is: Connecting Communities & Inspiring Change. The committee aims to build off the success of the 2016 LGBT Elder Summit that was facilitated by the LGBT Elder Initiative.